Seven key strategies for helping us all sustain greater health, wealth and wisdom at work. In my work with professional people over the last fifteen years I have found that high levels of emotional capital lead to increased productivity, and as many studies show, happy people are more creative, solve problems better and more quickly, live longer and enjoy high levels of leadership influence. In other words, when people feel better they perform better. This is not about looking at life through rose-coloured glasses or ignoring the disappointments in life. 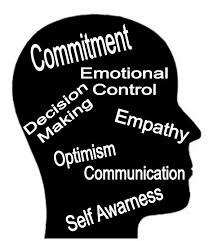 It is about investing in your greatest asset – your emotional capital. Your happiness is good for business. On a scale of 1 to 10 (with 10 being hip hip hooray happy), what do you score yourself? below 7? what’s going on and what can you do about it?